Spiced with everything nice, plus marvelous Maca. 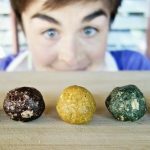 Recipe yields 24 balls. Scrape with silicone spatula into a bowl. Roll into balls with your hands. That’s it! 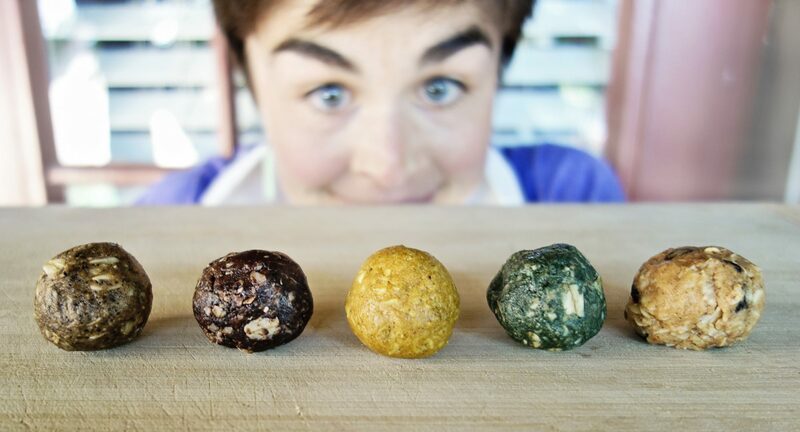 Katie makes a whole line of more than 20 flavors of energy balls—great to give as gifts! She only sells direct to customers so you won’t find them in stores.